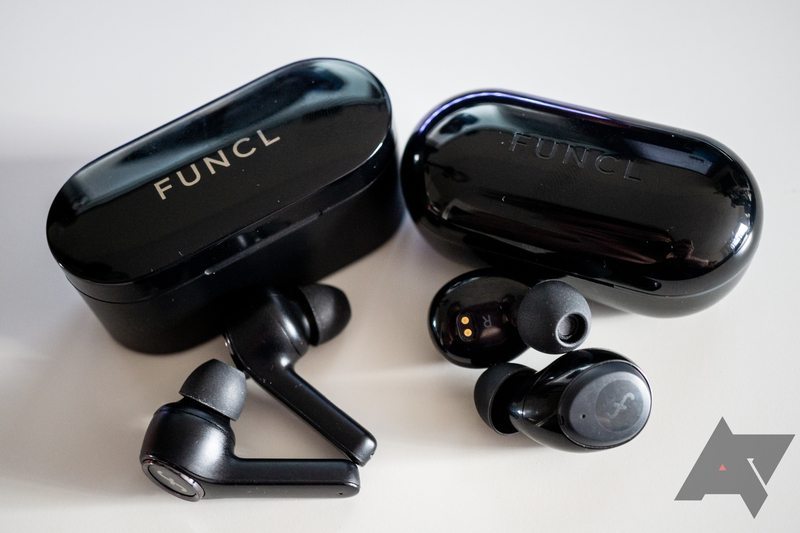 Last week a brand we'd never heard of called Funcl announced an Indiegogo campaign for two pairs of so-called "truly" wireless Bluetooth headphones, which just went live today. I know, most of these crowdfunded projects are junk, but one particular twist caught our eye: The cheaper set costs a mere $19. Crowdfunding crap be damned, that was worth a look, and I've spent the last week using them, as well as the more expensive $54 Funcl AI. That $19 set is called the Funcl W1, and I'll be honest, they sound pretty okay for $20. With a good seal, they have surprisingly strong (but muddy) bass. 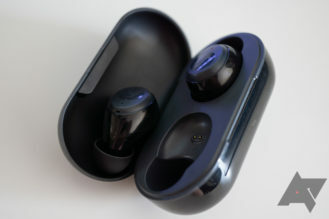 Of course, they certainly don't compare to even marginally more expensive wireless or wired earbuds, but I don't think the quality is bad for the price. They also fit pretty comfortably, though I have larger ears. Unfortunately, sound quality isn't the only concern when it comes to Bluetooth headphones. 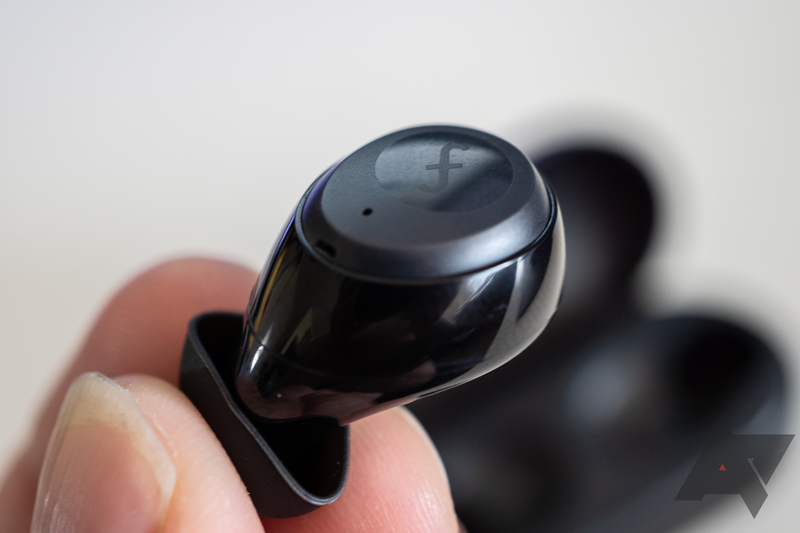 I ran into some issues with the right earbud repeatedly disconnecting every few seconds during playback in congested areas — a problem that was even worse when I used my Pixel 3, which can't seem to handle Bluetooth audio very well. Admittedly, I'm using pre-release hardware so the final versions could be free of this problem, and I didn't run into any issues when just using them at home. Nonetheless, I consider that behavior a showstopper, so they don't have my recommendation (yet). Battery life seemed fine. I wasn't out and about long enough to run them dry, but they last a few hours at a minimum before needing to be recharged in the battery-equipped case. Funcl advertises 4.5 hours of playback at a time, with a total 18-hour capacity including the case. They're also IPX5 rated, so a bit of rain shouldn't kill them, just don't drop them in a puddle. The company also has a more expensive pair called the "AI" with AptX for lower latency, and I had better luck and fewer disconnection issues with them, though they're more than twice as expensive at $54. The AIs are less bass-heavy, with slightly fatiguing clarity and a mildly claustrophobic sound. They're advertised to have 6.5 hours of playback time, with a total of 24 including the case, but again I wasn't able to use them long enough at a clip to verify that. They also have the same IPX5 rating as the cheaper W1. 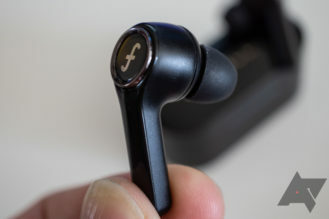 In addition to the advance look at the headphones, Funcl also gave us a "secret perk" we mentioned in our previous sponsored post, making the more expensive pair $5 cheaper ($50). If you're interested, the first 200 people to grab them here can snag the discount, though it won't work on the $20 pair. 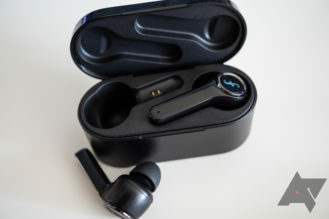 Affordable truly wireless Bluetooth earbuds are all the rage now, even Xiaomi is entering into the fray with its own $30 units. I can't wait to look at them when they start being sold at importers, but in the meantime, I'm glad to see cheaper options like the Funcl W1 landing here in the US. I just wish they didn't have so many disconnection issues.